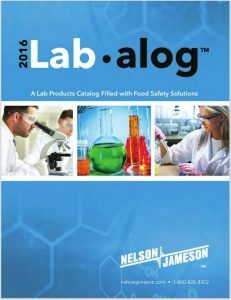 If you are in a position of responsibility for your company’s food safety program, you may be faced with deciding which sampling products to choose from, in a market that has no shortage of available items and product options. The cleaning and sanitization methods that are implemented in your food production facilities need to be effective in reducing potential pathogens. There are many different chemicals and sanitizers utilized throughout the food industry, with each company designing their procedures to meet the specific cleaning required. These sanitization chemicals must be considered when choosing your sample handling media. The environmental monitoring program you have designed should detect any post sanitizing molecular cell life that may be present after the sanitization step. The residuals of the sanitizers could affect the recovery of any remaining indicator or pathogen organisms that were injured or stressed by these chemicals. Therefore a neutralizing buffer should be selected that will effectively deactivate the remaining sanitizer and allow for the recovery of any surviving organisms. Another factor that influences which buffer to choose is what test methodology is being used, or do specific regulatory compliance methods recommend a specific type of media. If you utilize a contract laboratory to test your microbiological samples you should contact them to determine which media they recommend for the procedures they will be conducting. The food industry most commonly uses neutralizing buffer but also utilizes letheen broth and D/E neutralizing buffer. After the proper collection media has been selected, there are several options of sample collect tools to choose from. Swabs are commonly used when sampling small areas approximately 4 inch x 4 inch. If your sampling will exceed that size a sponge type of application should be selected. If you are doing pathogen sampling, a 12 inch x 12 inch sampling area is recommended. Keeping in mind a few of these basic concepts, you can make more informed choices on what sampling products to select. Check out our Labalog HERE to see our wide line of sampling, testing, and monitoring products to choose from for your facility’s specific needs. We’re here to help and make sure you get the products that are perfectly geared to your operation and needs.